I have always been interested in taking one of those DNA ancestry test kits, but let's be honest here... they are pretty expensive and will run you a pretty penny. DNA companies are finding ways to up the bar by making your personal DNA information work for you all while making sure interested consumers aren't breaking the bank in the process. I remember first hearing about one of these types of tests on TV and at the time they were charging a hefty price tag of $399! Say what?! 😬 Lucky for those of us still interested in learning where we come from and our DNA info, we now have more feasible options offered to us. Vitagene is a newer company that has it all! 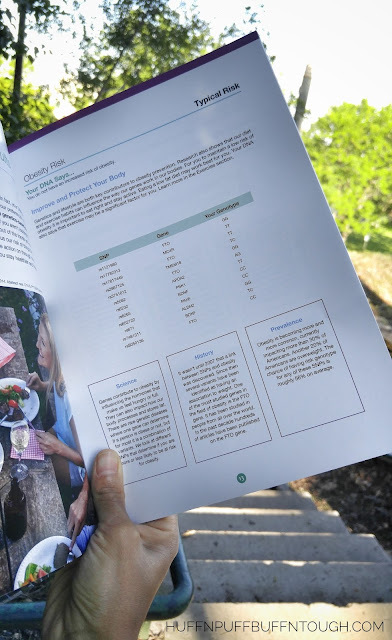 Not only is it affordable and gives you access to your ancestry information, but it also gives you diet, exercise, and supplementation information based on your DNA! How cool is that?! 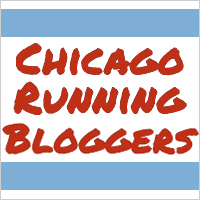 "Every year, people spend hundreds of billions on over-the-counter products (e.g. vitamins, etc. ), try new fad diets, and adopt new fitness crazes believing that these choices will improve their health and help them reach their goals. But this behavior neglects one critical factor: we're all different. What our body needs and how it responds to different stimuli will vary based on each person's unique genetic makeup." 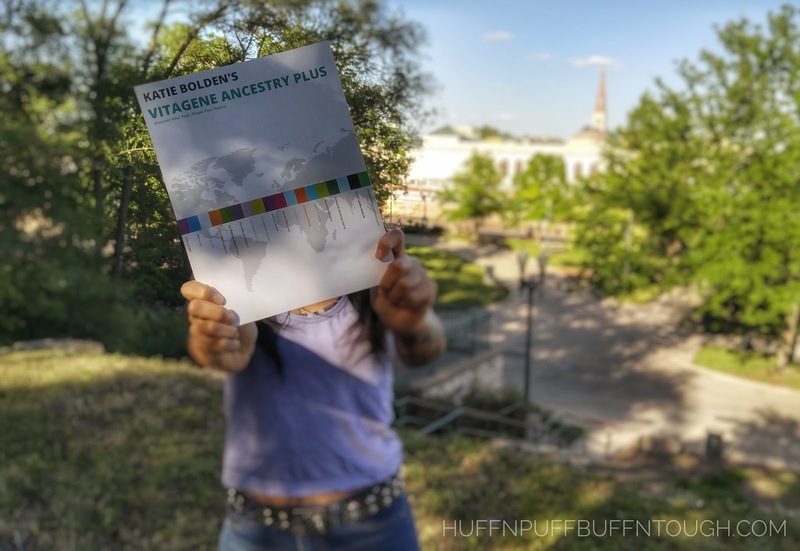 When I first heard about them I was super ecstatic to take part in this process to not only learn more about my ancestry, but to also learn much more beyond that in terms of what types of workouts, food, and supplements would be beneficial to me. "Vitagene's mission is to help people use their DNA to inform their life choices. In addition to enlightening them with the story of their ancestry and where their people came from, we leverage big data, machine learning, and the latest scientific research and technology to ensure that what they’re buying, taking, and doing is right for their body so that they can truly feel better, be healthier, and finally reach their goals." Your DNA can show your unique blend of ethnicities across 25 distinct regions throughout the world. Your DNA can tell you the optimal fitness regimen to meet your health goals. Your DNA can tell you whether you’re at risk for certain vitamin deficiencies that can affect your heart, memory, and energy levels. COULD I BE SENSITIVE TO CERTAIN FOODS? Your DNA can give you insight into traits such as sodium intake, emotional eating, lactose and alcohol metabolism, and gluten sensitivity. I received my kit in the mail and the process was fairly simple. Order a Health + Ancestry Report easily on any device. Your DNA kit ships in 3-5 days from order confirmation. Provide a small sample of saliva in the comfort of your home. Using the pre-paid return label, send the sample back to our state-of-the-art lab. Your DNA will be analyzed at more than 700,000 genetic markers. Complete your online questionnaire about your goals, lifestyle, and family history to further personalize your results. In just 4-6 weeks after the lab receives your sample, your results will be available online and mailed to your door. After I mailed my kit off I started checking for my results after a couple of weeks. I was notified by Vitagene that they had not received my kit after a concerning amount of time and the tracking number was showing no updates. I figured it probably got lost during transit. They told me they were going to send out another kit, but I was notified shortly after that they were able to track down the kit. I anxiously await my results for another two weeks. I received my electronic report first as the physical copy takes about 2-3 weeks to receive. 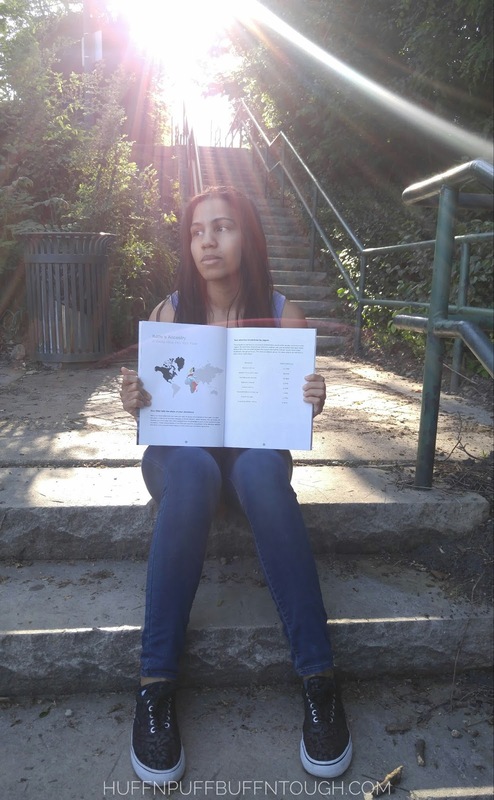 I wasn't expecting much from the physical copy of my report other than a packet of papers. Oh man, did they exceed my expectations. I didn't receive a boring packet of papers at all. I received an amazing 53 page soft cover keepsake booklet that was personalized with my name on it! I was blown away with what I received and the quality. Summary of my DNA attributes. It was very interesting to learn about my ancestry and where my ancestors came from. In my booklet it pinpointed which regions of the world my ancestors came from. The region that Germany is located in is highlighted and confirmed. To get a better idea and understanding of the results I had to do a bit of research to find out what countries were included in the regions that were highlighted. Obesity Risk is typical risk for me. There is no increased risk according to my DNA. However, the risk still remains as I have PCOS, which can cause easy weight gain. With symptom management my risk is automatically lowered with maintenance of a healthy lifestyle and weight. This page also notes that eating a low fat diet may work best for me. On another page it notes that low calorie diets work best for me when it comes to losing weight, which is true. These two pages tell me about my fat and sodium intake and what my body may respond to best. My DNA says that weight gain is associated with my fat intake. Again, it states I may respond best with low fat intake of less than 20%. I will have a lot of experimenting to do with this information and my macros once I am out of my competition prep in August and I have safely worked my way out post show come October. I lost weight with low fat intake of around 20% even though the weight loss app I was using calculated a 30% fat intake plan for me to follow. With research of my past food journal entries and looking back on my old logs on the app, it seems as though I stayed below the 30% with an average of 20% fat in my diet. Some days were higher and some lower, but the average was around 20%. Throughout the years I have unknowingly upped my fat intake slightly, but not by much. That may explain the plateau I experienced for almost a year. Along with upping my calories to give my metabolism a break in the middle of my plateau, which prolonged it. Makes sense. Because of this helpful information, you won't be seeing me on any high fat diets like Keto (Ketogenic). I get asked a lot if I am keto or have ever done keto to lose weight. As for sodium, my DNA says my blood pressure is less likely to improve on a low-sodium diet. I never paid much attention to sodium levels until this year when I learned that lower sodium levels can help with muscle definition and playing with sodium levels when it comes to a contest prep and how the body and mine personally responds to it all. Triglyceride levels is an increased risk. My DNA says I have an increased risk of high triglycerides. Reducing the amount of carbohydrates I eat will help me maintain normal levels. 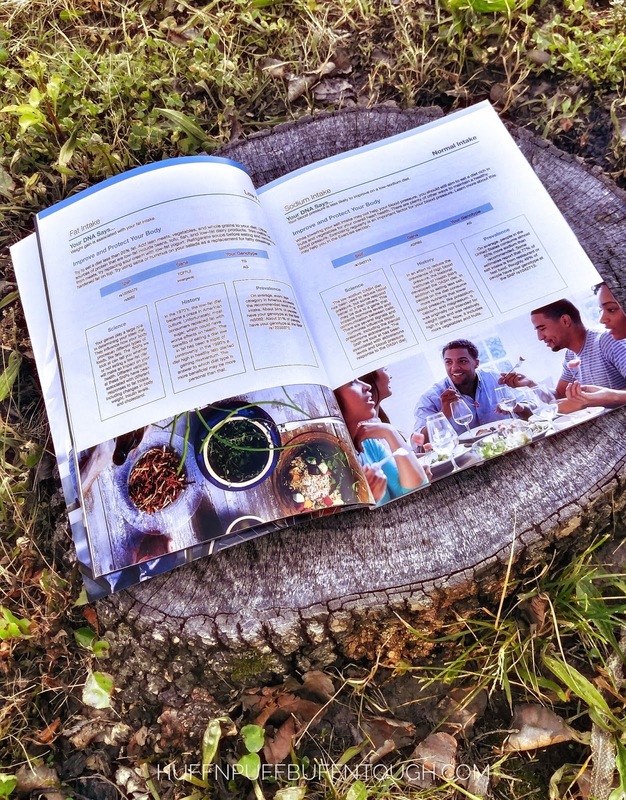 The page explains to me what triglycerides are and what I can do to maintain normal levels like avoiding white rice (already do), sweets (mostly), bananas (only eat them when I crave them, which isn't often up until recently), and bread (Say what?! I love bread, but I don't eat it enough to have to even consider avoiding it all together. I eat whole grain breads when I do eat bread). It also says a good fish oil will also help limit my risk of high triglycerides (already take them). Emotional Eating is low risk for me. My DNA says I have a low risk of eating emotionally. I have never been an emotional eater and it was never an issue for me. Like everyone else, I have those days where I want to cuddle up on the couch with a pizza dinner and some ice cream or brownies for desert on a rainy or snowy evening, or if I have had a hard day and just want to relax and enjoy myself. But outside of that... nothing major that would count as having an emotional eating issue. Weight Regain is low risk for me. My DNA says I have lower risk of regaining weight after dieting. Power activities is what I am likely to perform better at. My DNA says I am likely to perform better at power activities versus endurance activities. This page tells me to try high intensity interval training, weightlifting, or sprinting activities for optimal results. I already do all of that with the exception of sprinting. Iron Levels is an increased risk. My DNA says I have an increased risk of low iron. This page tells me I should consume extra iron through my diet by eating lean meats, eggs, dark chocolate, and spinach. I eat all of those things. 😀 It also recommends taking a supplement for low levels if needed. Personalized Supplement Recommendations were provided to me. 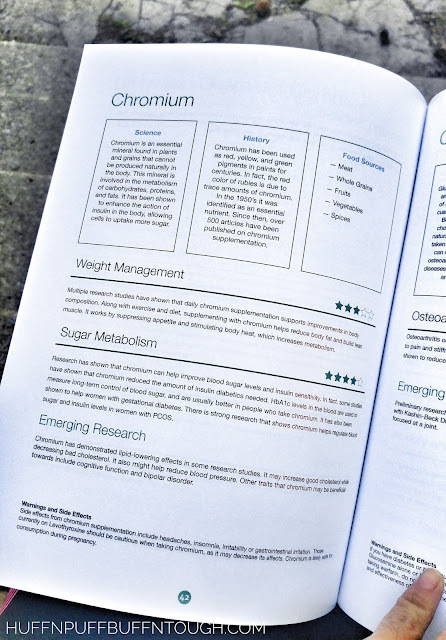 This page gives me my list of recommended supplements that I should consider taking and why it is recommended for me. Come to find out I am already taking half of the list! 😂🙌 I will not reveal my entire list of recommended supplements and dosages because it is personalized and tailored to me and my DNA and I would not want someone to use the information as their own. That can be very dangerous. 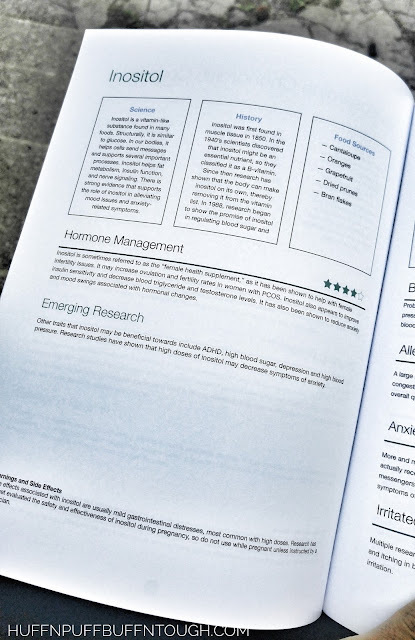 However, I do want to highlight two supplements that were recommended to me that have been proven to help women with PCOS (Polycystic Ovarian Syndrome). Inositol was one of the recommended supplements for me and it happens to be one that I was already taking for hormone support and had no idea about the benefits for women with PCOS. It is sometimes referred to as the "female health supplement" as it has been shown to help with female infertility issues. It may increase ovulation and fertility rates in women with PCOS. It also has a lot of other benefits that can be read on this page. I wish I had known this when trying to conceive my daughter with PCOS and infertility, so that is why I am passing this information along to all of my PCOS cysters. Chromium was another PCOS-related supplement that was recommended to me that I would like to share. There is strong research that shows chromium helps regulate blood sugar and insulin levels in women with PCOS. You can read below for many more benefits to taking this supplement. 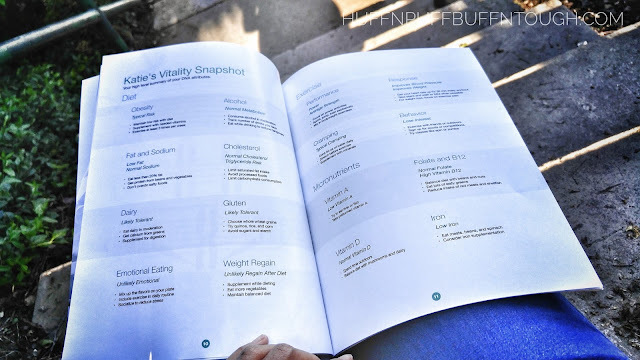 Based on your questionnaire that you are given online when you register your kit, family history, and DNA results... Vitagene is able to recommend supplements for your unique needs like weight loss and management, lifestyle support, and goal-related supplements. 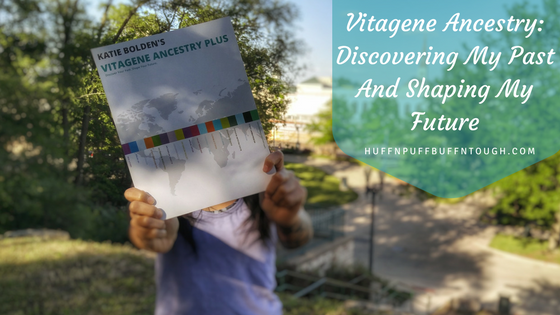 Vitagene has it all... affordable price, answers about your ancestry and useful information about your DNA that you can take away from all of this and use to your advantage. 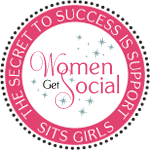 They are also in partnership with the PCOS Awareness Association, which gauged my interest even more. I am happy with the whole experience and the results and I will definitely be using this information to my advantage to go above and beyond to continue achieving my health and fitness goals. 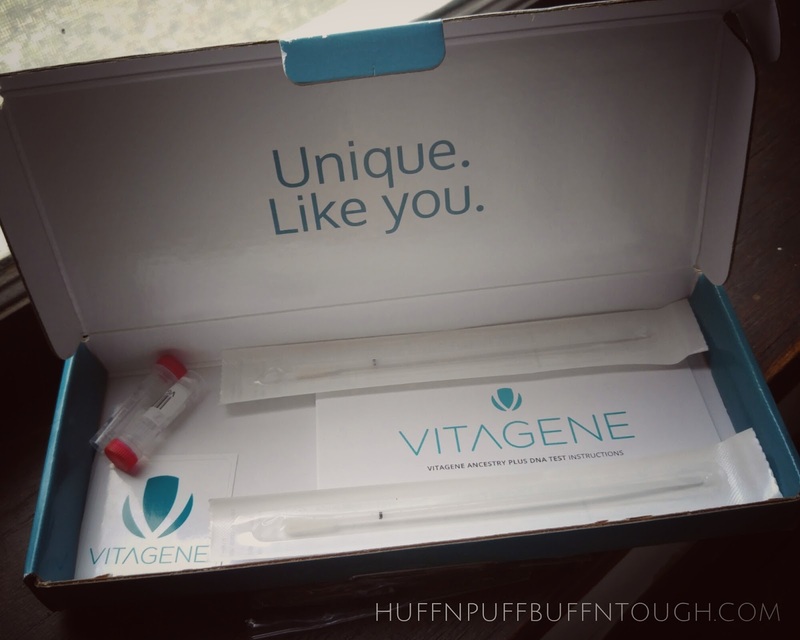 To order your own kit and to learn more about Vitagene and what it can do for you click below! DISCLAIMER: Vitagene never recommends supplements if there is an inadequate amount of scientific evidence. Select references are given for each supplement, and a full list can be obtained by emailing them at support@vitagene.com. The information provided in this guide is not intended to interpreted as medical advice. Pregnant or breastfeeding women should consult a physician before taking any supplements. Discuss your supplements with your physician before or after any medical procedure, especially surgery. Disclosure: This conversation was sponsored and created in partnership with Vitagene. I value authenticity and honesty, all thoughts and opinions are and will always be my own. I don't mind at all. :) It took 3 years and I did fertility treatments with Clomid for a year during that time, which didn't do anything, but give me interesting ultrasound images of my crappy polycystic ovaries and jump start my periods after not having them for about 2 years. After a year of failed treatments and A LOT of money I couldn't pay back I decided to let it go and it happened naturally after about a year with more weight loss.